Your patio or deck can be the most enjoyable part of your home and feel like an extension to your living area when it is nice and comfortable. 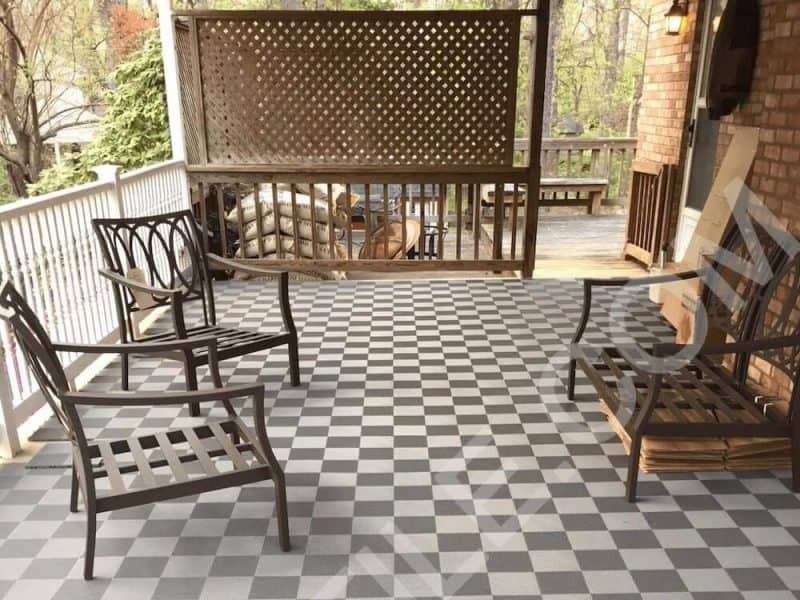 If you have a concrete patio or a wooden deck, you can enhance the floor area by covering it with ModuTile interlocking patio floor tiles. Adding the perforated patio tiles over your deck or patio floor is an affordable and practical way to cover and protect an ugly or damaged surface and get back the peaceful, easy, backyard feeling you want. The transformation can be effortless. 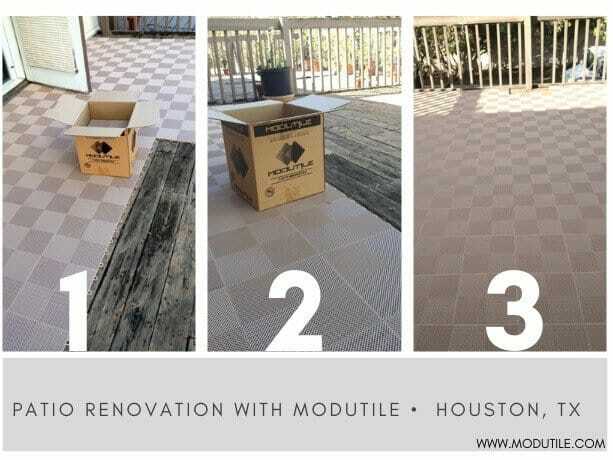 ModuTile offers a variety of perforated interlocking floor tiles that are ideal for deck or patio surfaces. 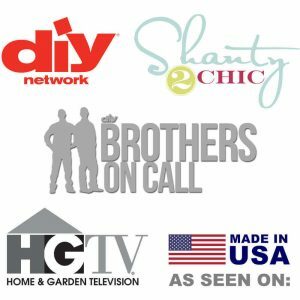 Installation is a DIY (do it yourself) project that does not require any special tools or chemicals. They are an ideal solution because they are strong, rigid, durable, and can withstand outdoor weather. Since the tiles are available in a variety of colors, you do not have to stick to just one color when installing the flooring. You can select the best color(s) to complement your outdoor furnishings. You could also create a checkerboard pattern using two different colors or use your imagination to create a unique design. Please be sure to order your interlocking patio floor tile samples before placing your order. Monitor colors vary dramatically by brand and lighting environment you’re in. For this reason, we cannot honor our satisfaction guarantee on colors for those who did not previously order color samples. Visit our deck and patio floor gallery page to see the different designs and layouts. All images were provided by actual customers. With ModuTile’s interlocking deck and patio floor tiles, it could not be easier to make your outdoor living area look fantastic. Please see bottom of page for FAQs about Patio and Deck floor tiles. Our deck and patio floor tiles have a crisscross pattern (with holes) that makes it easy for water to go through. When considering a flooring solution for your outdoor living area, you will want an option that is designed to easily allow water to drain. A ventilated floor surface (that enables air to flow underneath) is great for a deck floor. Deck Floor Tiles to the Rescue! ModuTile manufactures two types of edges for the loop-to-peg interlocking floor tiles. We call them “Ramp Edges WITH Loops” and “Ramp Edges NO Loops”. The names refer to the loops on the long side of the ramp edge. 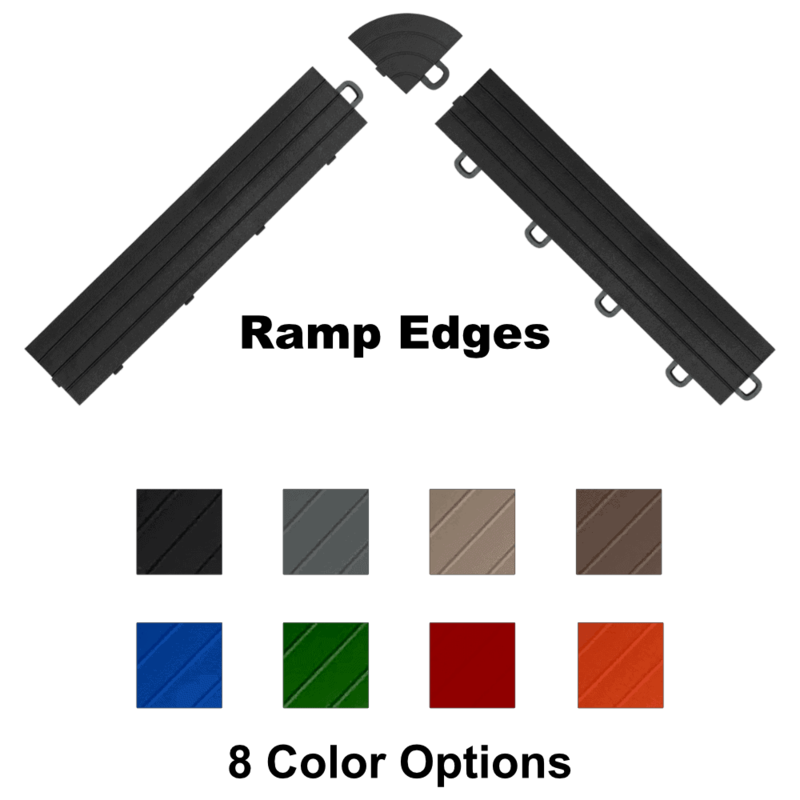 Because the tiles are modular in nature, you have the option to select either type of edge for your installation. There is no right or wrong decision. Some customer feel strongly about using the edge pieces to form a border around the perimeter of the flooring and plan their installation project accordingly. You would need to decide whether you want to use the edging before you plan the installation and purchase the tiles for your deck or patio. If you cut the tiles so that the floating floor meets the exact dimensions of your concrete or wooden subfloor, then you will not be able to attach edge pieces to the cut tiles because you will have removed the locking mechanism. You may not need to use the edge pieces for your patio if grass reaches the edge of your concrete and there is no need for a border. Click on the button to see our deck and patio floor tile options. 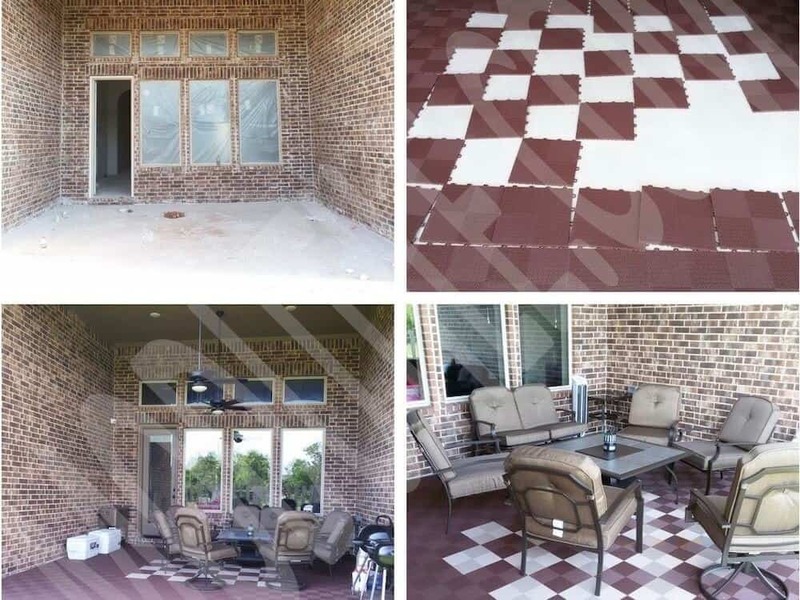 Our tiles were designed for use in residential garages, but our customers quickly let us know that they are also ideal for decks and patios. They easily support the weight of outdoor furniture and allow water to flow through them. After painting our 30-year old deck annually for the past several years, my husband and I decided to try your product, and we are very glad we did. It has exceeded our expectations. The tiles were easy to cut and install. I am retired and installed 350 sq.ft in an afternoon. Thanks for a great product and excellent customer service. We were looking for something simple to dress up our carport, which we use in the summertime as extra outdoor seating out of the sun or the rain. The modutiles were a fantastic solution. Ordering was simple and installation was a snap. So easy, my kids and I finished it in under an hour, while the wife was out. Perfect Mother’s Day surprise! Your patio floor tile questions, answered. Do these patio floor tiles allow drainage? Yes, it is our Drain tile because it has small holes on the surface plus a grid structure underneath for it to drain out the water on a slightly sloped floor and it allows air flow from top to bottom. Can the Patio Tiles be installed over a wood deck? 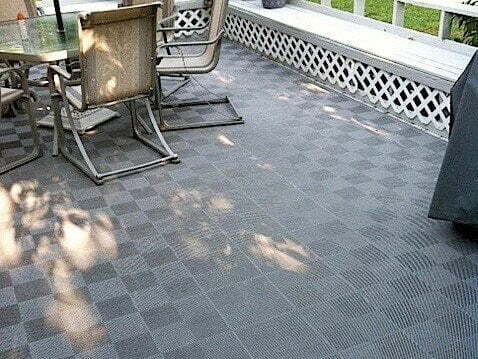 Yes, the interlocking patio tiles can be installed over any flat surface. When installed over old wood deck, the wood panels may require adjustments if the wood panels are uneven or protruding.